Heading down to Orlando for a three day convention, one of the first things that I did was Google for the best buger, as there were no central Florida entries in Hamburger America. 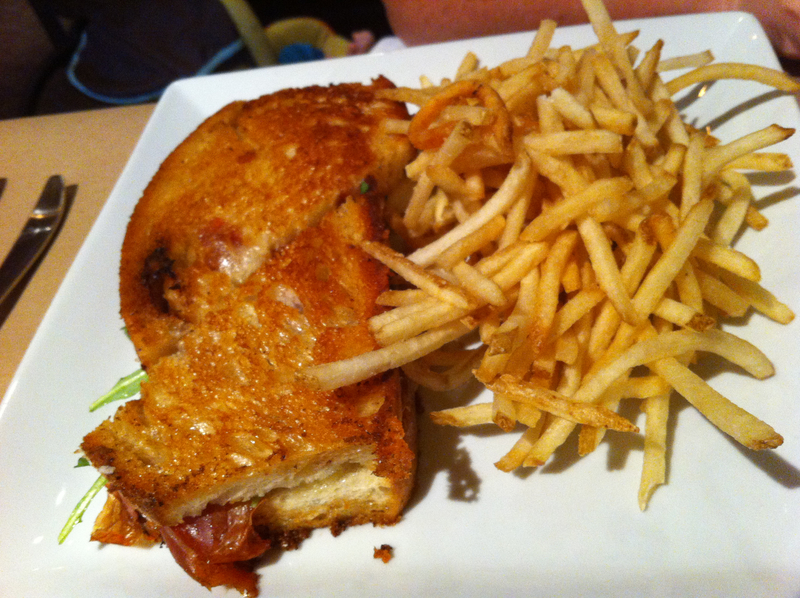 One of the places that was on multiple lists was the Ravenous Pig, up in Winter Park. One of the blog reviews that I read about it said that it was the Orlando equivalent of Michael’s Genuine and I knew that it was a place that we’d have to go. We made a reservation for Saturday, as we were preparing to head back home. I was glad that we made a reservation as when we got there the place was fairly full. 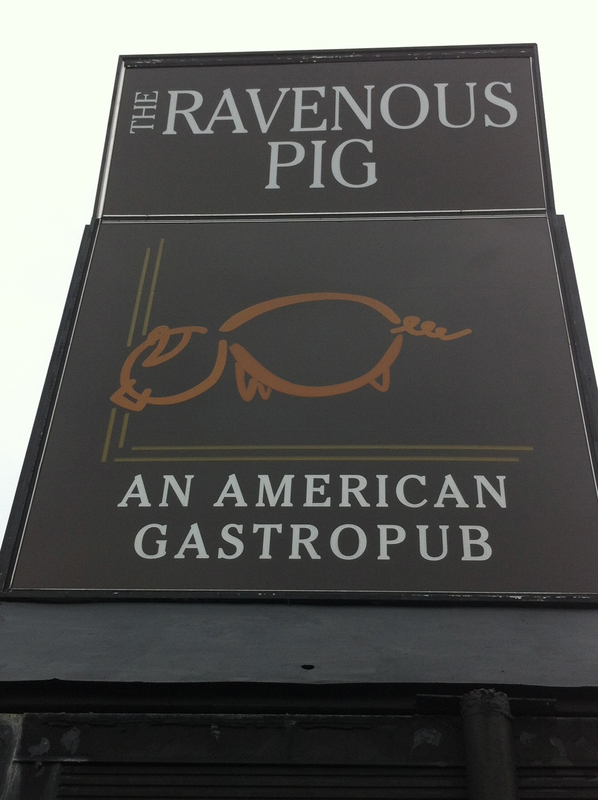 The Ravenous Pig is a gastropub. Unsure of what exactly that was, the common definition that I could find was of a bar or restaurant that serves high end beer and food without pretension. Sounds like my kind of place. The dinner menu looked incredible and the lunch menu was fairly comparable. This led to my first experience with a terrine. 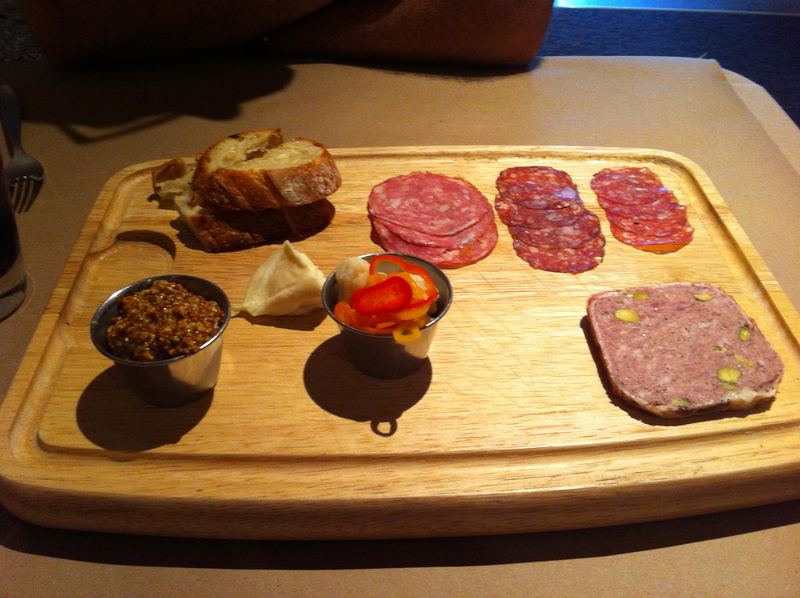 As often is the case, Wikipedia, (my best friend) help me solved what a terrine was before we ordered it. When it arrived, the terrine reminded me of some kind of lunch meat from Oscar Mayer in the supermarket in the 70s, but made with a lot better class of ingredients. It was okay. The salumis (like a salami) were the best of the lot, except for the spicy mustard (which Jo kept and into which she dipped her french fries). She ordered a chicken sandwich, as a side to go with those fries. 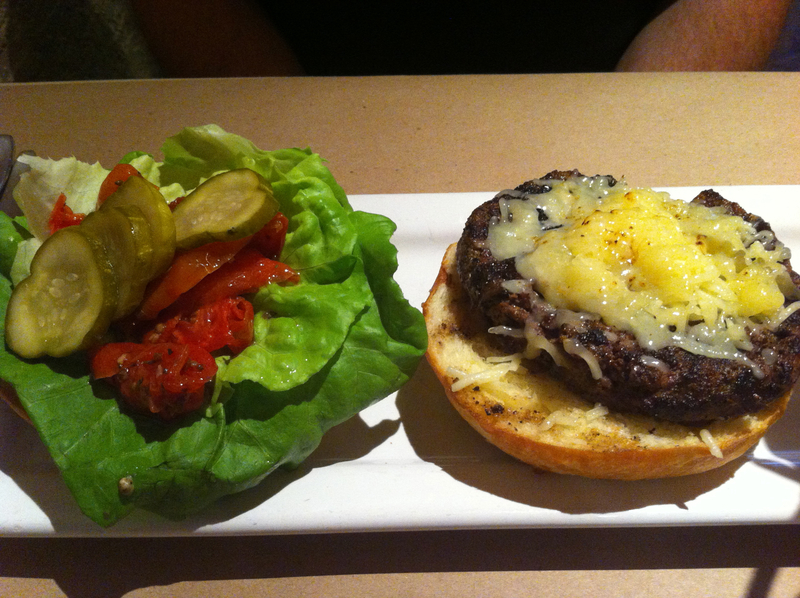 I ordered the cheeseburger, with gruyere and fries. 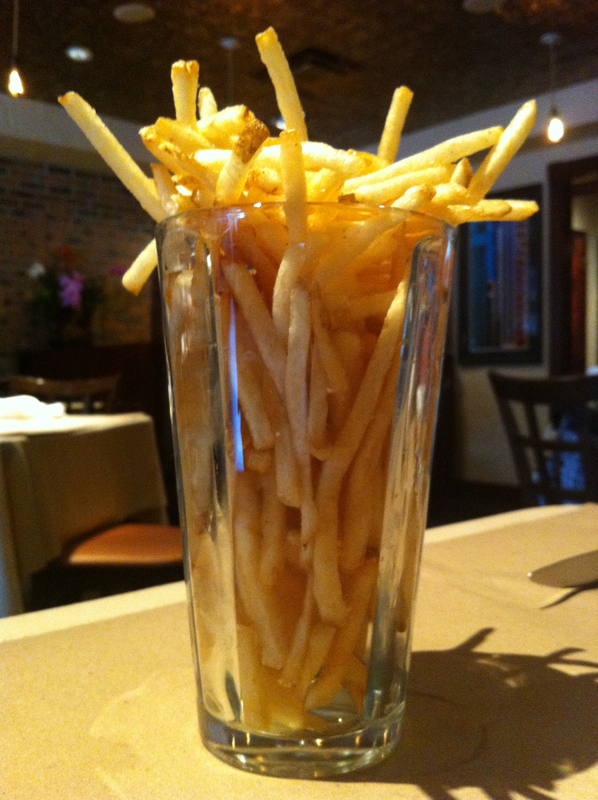 When my burger came to the table the fries were served in a separate bar glass. The burger was excellent. The service was exceptional. As we headed to the airport for the flight home, we both commented that that was the best meal we had while we were in Orlando. I guess we are food snobs after all.